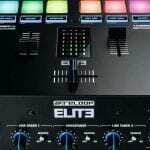 Is this a new Denon DJ Prime 4 channel controller? 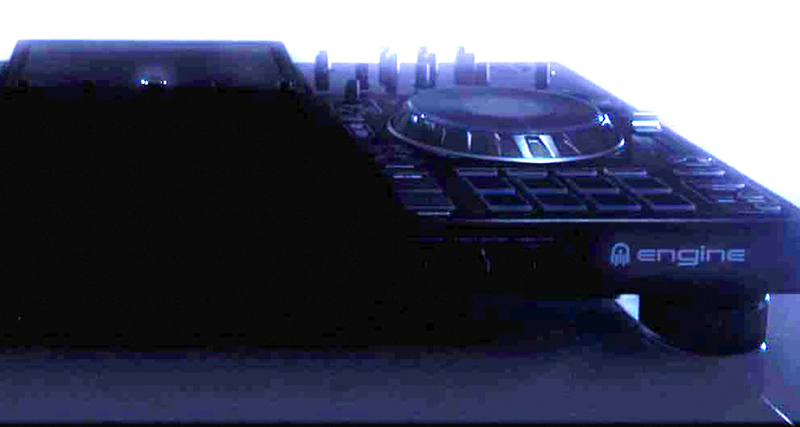 Denon DJ have today teased us with a new product coming soon. It looks like an all-in-one Prime controller / player and the rumours are suggesting it might be a four channel. Let’s take a look and see if this really is a Denon DJ Prime 4 channel controller. Some of the blogs out there are suggesting this will have a touchscreen which would not be surprising considering the existing SC5000 Prime player. Also, Denon DJ’s parent company inMusic own Akai Pro who’s MPC-X has a large touch screen just as the MPC-Live has the same screen as the SC5000. So it’s quite possible this has a multi touch screen. 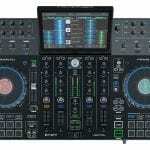 Update: Denon DJ have just released this image which suggests an adjustable large screen. Based on the images and the existing players, Denon DJ already have the functionality and hardware to make this a standalone player. Probably with 2 or more USB slots. From the blurred image we can make out what looks like pads so it probably has 8 pads each side. It also makes perfect sense as these are fairly standard now. We did some very simple calculations on the blurred image. Assuming both sides are the same width and its all in proportion, the middle area (which should be a mixer section) would be large enough to house 4 channels. Although, it only shows 2 lots of LEDs, so … maybe! Whilst the Denon DJ R&D team have always been ground breaking and the SC5000 Prime players have some kind of wireless hardware built in, we are not sure how it would work or what it would do. Are we ready for bluetooth headphones and wifi streaming? Others are suggesting this would compete with the Pioneer XDJ-RX2, and if it is we will make sure to compare them as soon as we can. The real questions are how much will a Denon DJ Prime 4 channel controller cost and when could we get one?! Stay tuned to our blog will be the 1st to announce any new information as soon as we have. Update: More images have been released and now a hashtag of #prime4all being used, really suggesting a 4 channel player.